Since last summer the Google Project Tango development team has been working closely with the NASA Ames Research Center to integrate a Project Tango prototype onto NASA robotic platform named Spheres. The Google Project Tango prototype consists of smartphone and tablet devices that have been equipped with 3D mapping technology. Check out the video after the jump to learn more about Project Tango and how it is assisting NASA. 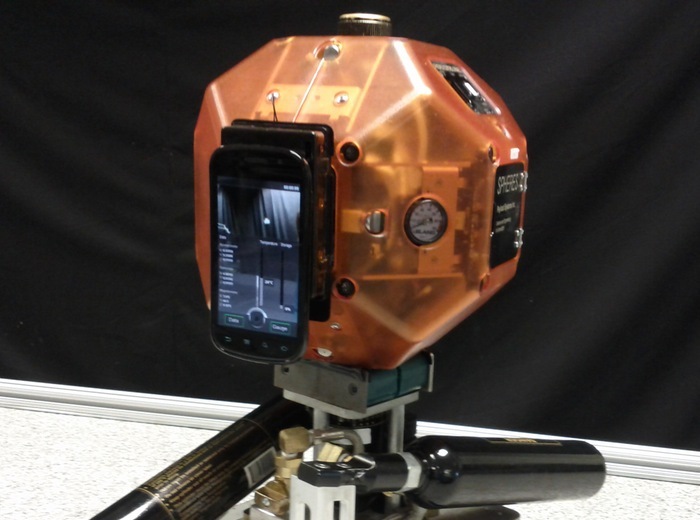 The Project Tango NASA Spheres or NASA’s Synchronized Position Hold, Engage, Reorient, Experimental Satellite program have been designed to navigate themselves through environments by understanding their surroundings, using the Project Tango technology. “The SPHERES program aims to develop zero-gravity autonomous platforms that could act as robotic assistants for astronauts or perform maintenance activities independently on station. After extensive testing the new Project Tango NASA Spheres are expected to launch into space for the first time on July 11th 2014.